The bare heights of the Khyber Pass loom brown and arid under the burning blue skies of Pakistan and the Afghanistan border. An occasional old fortress, built to command the pass, blends naturally into the barren hillsides. It was this dangerous, dust-coloured landscape which in 1848 presented a particular problem to Sir Harry Lumsden, a young British officer with the army in India. 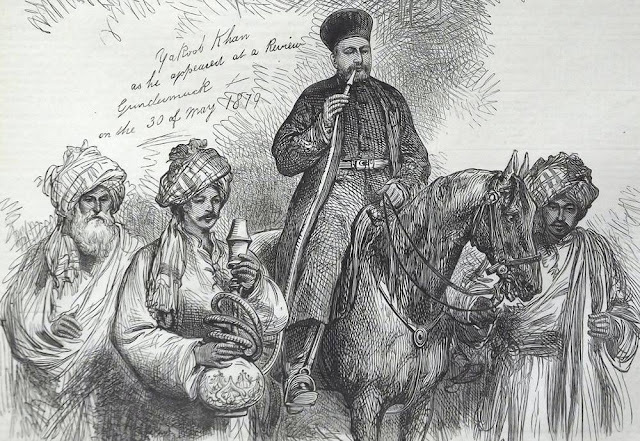 Sir Harry had been ordered to raise a special regiment to deal with frontier troubles and tribal raids, as part of the Punjab Frontier Force Brigade. This he had done, forming the famous Corps of Guides. But Sir Harry’s men all wore the traditional scarlet of British soldiers. In their conspicuous uniforms, Sir Harry realized, they would stand little chance of survival against tribal snipers hidden among the dusty hills. Already British Redcoats had proved themselves an easy target for sharpshooters in the American War of Independence. Here they would find even less chance of cover. Sir Harry decided to abandon the scarlet coats. Instead he put his men – mostly Pathans and Punjabis – into cloth dyed the same colour as the landscape. Berries or mud were used, and the regiment had its own dyers to do the job – for which each soldier contributed a small sum monthly from his pay. The soldiers called the cloth “khaki,” from the Urdu word khak, or dust. The idea was highly successful. During the Indian Mutiny (1857-8), it spread to other British troops fighting engagements in sandy country. It was used during the Second Afghan War (1878-80), and by 1880 had been adopted by all British regiments in India, who now retained scarlet only for their full, ceremonial dress. Britain’s redcoats met with disaster in South Africa during the Boer War of 1899-1902. In their scarlet uniforms and white helmets, they stood little chance against the Boers, who soon picked them off with long rifles. 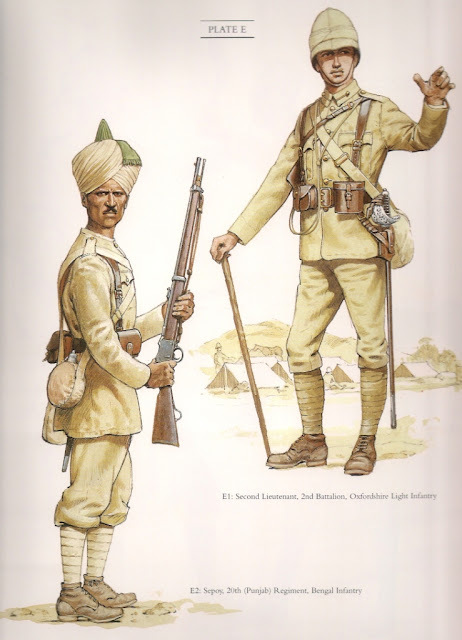 So here, too, the British adopted a form of khaki uniform. By 1900, khaki had been adopted for service-wear in Europe too, and by the beginning of the first World War in 1914, scarlet was worn only as ceremonial dress, whether on European or colonial army service. Gradually other nations changed over to similar “camouflage” uniforms, until the word “khaki” has come to mean battledress anywhere in the world that blends in with a brown or greenish landscape.